The Special Ballroom Festival is an opportunity for individuals with disabilities to step on the dance floor and compete with their chaperones in a ballroom dance competition. Our goal is to give everyone regardless of limitations the opportunity to experience a professionally organized ballroom competition. Dancers will compete with qualified chaperones in each of the following dance categories: Foxtrot, Waltz, Tango, Rumba, Cha-cha, Salsa, and Swing. The venue is Sharonville Convention Center in the Northern Lights Ballroom A. The competition held on Saturday October 6, 2018 and will run from 12:00 P.M. to 5:00 P.M., with awards presentation throughout the day. Food and/or drinks are not permitted in the ballroom. 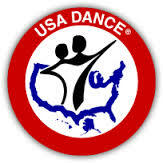 Dancers will compete with a qualified chaperone in each dance category. Upon arrival dancers will be greeted at the registration table and partnered with a chaperone for the afternoon. Chaperones will be partnered with a dancer(s) for performances, and assist dancers in entrance and exit to the dance floor. All Judges are certified. Judging is based on performance and technique. 1st, 2nd, and 3rd place, along with participation awards will be presented to the dancers. Sponsorship opportunities available for event and/or for individual dancers. Please plan to join us for this amazing event.